Choosing alternative investments for your clients isn’t easy. Information can be hard to come by, strategies are often difficult to evaluate, and alternatives managers often aren’t name-brand firms with decades of experience. So, how does an investment advisory firm manage this process? This webinar will take a broad look at due diligence for alternative investments, reviewing investment due diligence and operational due diligence within the context of compliance considerations. Attendees will be asked to respond to polling questions about their current practices. Investment due diligence for liquid alternative mutual funds: Does the strategy make sense, and will performance continue? Operational due diligence: What factors should you look for, and what kind of follow up procedures should you establish? Compliance: What is the regulatory view of due diligence requirements? Josh Charlson is Director of Manager Research for Alternative Strategies at Morningstar. In this role, he leads a team of three alternative investment research analysts. Mr. Charlson is also editor of the quarterly newsletter Alternative Investments Observer. He is a member of Morningstar’s Analyst Ratings Committee for alternative strategies and the Stewardship Committee that oversees the Fund Research team’s assessment of fund companies. 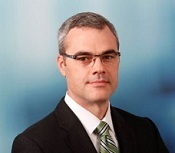 Liam Croke is Managing Director, Operational Due Diligence at K2 Advisors LLC. Previously, he was the Director of Risk Management and Chief Compliance Officer for ACAM Advisors where he was responsible for the firm’s operational due diligence for compliance and fund operations, and a member of the firm’s Research and Investment Committees. 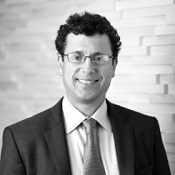 Mark Perlow is a partner in Dechert’s financial services and investment practice. He represents mutual funds, hedge fund managers, fund independent directors, investment advisers, and broker-dealers on a broad range of regulatory and transactional matters. Mr. Perlow is a frequent author and speaker on securities law and investment management topics. For paid registrations, cancellations and substitutions must be received in writing no later than 5:00 p.m. (ET) Friday, March 25, 2016. There are no refunds for cancellations received after this date. Email your requests to lisa.gillette@investmentadviser.org.